Who am I? I am a being of light and love. No longer will I hide behind anyone or anything. My essence reflects the Divine Universe, the source of all light and life. I will let my light shine so bright that all who gaze upon me will know my source and embrace the same life force that resides within them. I AM Light and I AM Love. Light is love and Love is light. The two are one and the same, sometimes expressed differently but still the same. Using the first person to express your consciousness is very empowering. You can use “I Believe in Me” as a tool for transformation. I believe in me and its manifestations are seen in my thoughts and actions. Yes, my attitude reflects who I AM. It reflects my belief in my skills and talents and goes one step further. The manifestation of my hopes, dreams and visions is played out in how I live my life, what I choose as my career, the people I surround myself with and ultimately my prosperity. Learning to believe in yourself and your potentiality is the key to your success. Step out in trust and faith that the universe is working to guarantee your success. Greetings of peace and love to all. As you begin this new year, look back at 2018 giving thanks for all that you have experienced without judgment. Give thanks for everything, review errors, learn new behaviours, habits and prepare to live life from the inside out. In this way, you manifest your destiny as a Divine being. The material world should not impact your happiness. This new year gives you a new page to write the new things that you want to practice and to become. So let us begin to acknowledge our Divine selves as the "I AM Presence," a Divine consciousness. Understand the principle, do the practice and use the affirmation. Please journal your experiences and review at the end of the week. We will continue exploring the I AM Presence for the rest of Jauary 2019. I give thanks to my lineage through which I entered the planet. We can invoke the light of God for everyone on earth simultaneously. Not just one person, but to seven and a half billion people on the planet. During this New Year begin to focus on accepting yourself for who and what you really are. Today, acknowledge your presence as a present to humanity. Your presence is not an accident. Some may believe so and some may not. Your divinity before your physical manifestation determined your incarnation on earth and your purpose. When you manifested in physical form, you forgot your Divine nature. That is why truth seekers stress knowing your purpose. 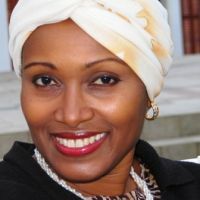 When you remember your purpose and focus on it, you begin to reconnect to your Divine Self and your soul’s journey. willing to remove the obstacles to growth to clear the path to prosperity? Are you ready for success having had experiencesof failure? Shifting your thoughts, actions and attitude can create a transformation that will propel you to the top of your field. Choose to let your thoughts manifest the change you want to see in the world. Let your light shine and give permission to others to do the same. We are on a journey to lift others up as we lift ourselves. We create the change we want to see in the world when we live life as a Sacred Practice one thought and one day at a time. When the Great Tempter, the enemy, masquerades as your friend and sends lightning rods of hatred and bigotry your way, gracefully and powerfully just deflect them with the wave of your hand. Your intention is to Send Love and Light to fight your Battles. Let the God or Goddess of your being answer with Love, the most powerful vibration in the universe. Love and Light are twinned. The more Love you emote, the more Light you reflect. Ancestors near and far, guide our transition from this dichotomous world of Love and Hate, Black and White, War and Peace to one of Harmony, Peace and Pure Love. LOVE IS LIGHT, LIGHT IS LOVE and GOD IS LOVE. Are you willing to go through the fire that purges your internal demons so that you may be transformed into a being of love and light? Do you appreciate life every day and give thanks with every breath? Write your gratitude notes and your answers to these questions in your journal. As you evolve spiritually you will understand the inner meaning of the following: There is no other being like me in the universe. I AM love and love's Divine expression. The life force moves through me, a microcosm of the universe, vibrating and expressing its desires to interpret and reinterpret itself. I AM a channel of Love and Light. I relax in awareness that the universe moves me, and I am one with the Divine universe. I free my mind from day to day worries and concerns so that, effortlessly, the universe expresses through me. Inner vision be clear, bright and full of light. Live from the inside out and discover the real you.Life’s external vision of you is not your reality. Your reality is created with every breath and Every smile you offer, which allows the sun to arise and illuminate your being. If the voice for truth speaks to every single person on the planet daily, are you turned in to it? Know the voice for truth. Move toward it in your life. Turn your attention and your senses Up so that you can become obedient to truth speaking to you right now. The Voice is sometimes characterized as “still and small”. Whatever it is, whether fortissimo (loud) or pianissimo (soft) you need to learn synchronicity. Learn to dance with the music of the universe. Joy is an experiential value so let us experience it instead of speaking about it. Let joy become you, overwhelm you, so that you remain in a state of blissfulness. In this way, you bring harmony to your mind, body and spirit. Living in this state, you prevent disease and discomfort from infecting your own being. You attract persons of like kind and impact humanity through sending out your blissful vibrations. “I am happy and carefree, enjoying this moment in time by the river. The water is clear and cool on this hot summer day. I feel like jumping in, but I will start by putting my feet in first. Aaah, that feels nice, its heavenly!” Sitting down, I promise myself that I will take time out to enjoy this moment at the river bank. A flock of gray and white birds fly overhead, making some ‘squawky’ sounds. They line up in a wondrous V formation. I look up at the azure blue sky and smile. Being in nature is having a positive and calming effect on me. Thoughts of self-control visited me today and pulled me back from uttering sharp and cutting words. I AM grateful for introspective thinking, which prevented me from losing my composure. Instead, I removed myself from the stimuli, changed my thoughts and attitude. This allowed me to reframe and shift my attention to more positive thoughts and positive deeds. I smile and my attitude changes to a friendlier one. I begin to breathe deeply and soon the freedom of averting a painful confrontation was averted. In my retreat, I am relaxed and focused on more pleasant thoughts and things. I reach for my diary and become engrossed in my entry to further learn from what has happened. Are You Open to Divine Flow of Consciousness? You are entitled to your private moments with Divine Spirit. Many years ago, while attending the Whole Life Expo in Atlanta, GA, 1998, I met Neale Donald Walsch, the author of the book series, Conversations with God. What a privilege to have conversations with God; don’t we all have these conversations? He said I can also have these experiences. He mentioned his openness to Divine source as key to his mystical experiences and the source of his authorship. Are you open to God’s expressions in your life? Can you feel and interpret divine vibration? It is one of peace and love. Listen. Be obedient and allow it to speak to you. As you continue to allow the Divine in your life, you will experience a conscious shift in your being. You will develop the desire to continue to express goodness in your own way, as did Neale Donald Walsch who asked many pertinent questions in his work. He shared his experiences with the world. Let’s explore some of these questions: What is your truth? With whom are you sharing it? What is your life’s purpose? Is God speaking in and through you or, are you allowing the world to edit your Divine f low. Is the world taking you for a puppet, turning you and twisting you around? Or, are you standing on solid ground, open to the f low of Divine consciousness? Are you allowing Divine Spirit to animate you with every breath and to manifest in your life? It is time to come back to Love as our Constant Source of Divine Good. Every day is a glorious day as you learn to receive and give this vibration of Love to those around you. Most important is your ability to love yourself unconditionally. Peace is more than an absence of War, it is the innate state of a conscious Human Being. We all long for peace in the world. Everyday there are images on the TV screen that impress on the screen of our minds that this is a dangerous world. Images of crime, death and dying, war, report of wars and weapons stockpiling on the nightly news. The heart sees with the eye of consciousness not the eye of illusion. In Praise of the Sacred Feminine, the Foundation of the World. Today's quote is in praise of the Sacred Feminine, the Foundation of the World. 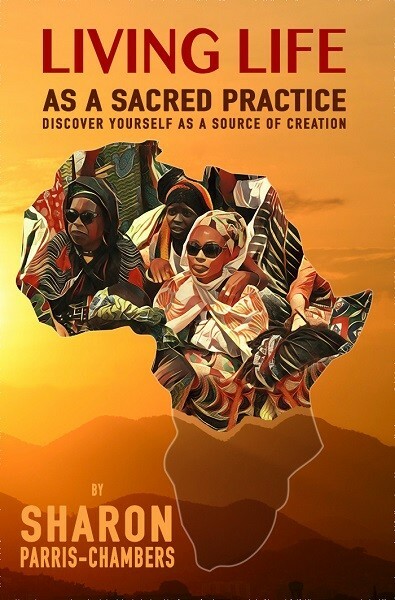 PRAISE OF THE SACRED FEMININEThe Praise Tribute you are about to read honors the Sacred Feminine through the voice of the Daughters of Zion. Sacred Sisters of humanity. 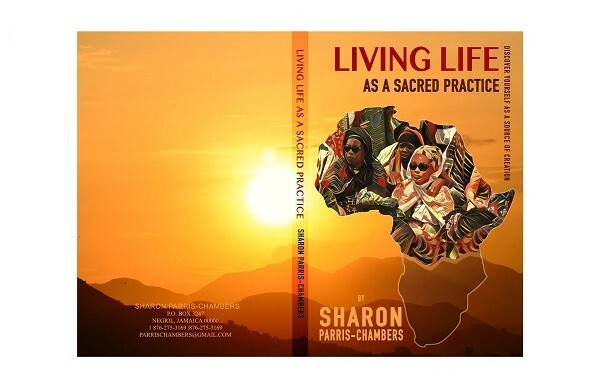 See the beauty in all beings and you see the beauty in you By Sharon Parris-ChambersPurchase the Book at https://www.Balboapress.comWhen you practice seeing the beauty in the human experience and in all beings, you also see the beauty in yourself. There is no barrier to Divine Love and Light. You can access these frequencies right now. Open your heart and Enter. Where is the kingdom? Prevailing thought leaders in the metaphysical science identify the Kingdom as a transcendental, pure state of mind. The inner core of the human being has never been fully explored. There is no complexity, just fear of the unknown. This fear is akin to exploration of the arctic space and the depths of the ocean. Now, there is a sustained effort to explore outer regions of space. This same push is happening in our inner core, the spiritual self. Open your heart and consciousness to what you really are: of mind, body and spirit.